The Vatican has released the program for tomorrow’s Invocation for Peace to take place in the Vatican and include Pope Francis, Israeli President Shimon Peres, Palestinian President Mahmoud Abbas and Ecumenical Patriarch of Constantinople, Bartholomew I. The Holy Father has asked that we, too, pray for peace in the Holy Land, not just tomorrow, but always. I thought you’d like to have the full text of the invocation so that you can be aware of what’s going on and being prayed during this monumental event. I also want to point out that the Custos of the Holy Land, Father Pierbattista Pizzaballa had made it very clear that the invocation is not a liturgical celebration or inter-religious prayer, but rather an effort not to pray together, but to come together to pray. That’s an important distinction to keep in mind. We have gathered here, Israelis and Palestinians, Jews, Christians and Muslims, so that each of us can offer his or her own that each of us can express his or her desire for peace for the Holy Land and for all who dwell there. Together with Pope Francis, who greatly desired this moment, Patriarch Bartholomaios of Constantinople and all those present, Presidents Shimon Peres and Mahmoud Abbas will join in this calling, voicing the desire of their respective peoples to invoke to God the common longing for peace. This evening’s meeting will consist of three parts, followed by a conclusion. Each part will be devoted to an invocation by one of the three religious communities, in chronological order: Judaism, Christianity and Islam. Each part will itself unfold in three moments. The first moment will consist of an expression of praise to God for his gift of creation, and for his having created us as members of the human family. In the second moment, we will ask pardon from God for the times we have failed to act as brothers and sisters, and for our sins against him and against our fellow men and women. In the third moment, we will ask God to grant the gift of peace to the Holy Land and to enable us to be peacemakers. Each of these three moments will be framed by a brief musical interlude. A musical meditation will conclude each of the three main parts. Praise the LORD, O Jerusalem! Who are they that fear the LORD? Your servant David said before you: “Who may discern errors? Cleanse me from hidden faults”. Cleanse us, O Lord our God from all our transgressions, purify us from our impurity and cast pure water on us and purify us, as is written by Your prophets: “I will cast clean water upon you, and you shall be cleansed from all your impurities and from all your contamination I will purify you”. And it is said: “Take words with you and return to the Lord; say to him, “Take away all guilt; accept that which is good, and we will offer up the fruit of our lips.” You are merciful, accepting those who turn back to You, and with regard to repentance You promised from the beginning , and with regard to repentance, our eyes look hopefully to You. And out of Your love or us, O Lord our God, who loved Israel Your people in Your mercy, and in Your compassion with which, You had compassion on the children of Your covenant, You granted us forgiveness of sin and the pardon of transgression and the atonement of iniquity. Divine Ruler, to whom peace belongs! Maker of Peace, Creator of all things! Let us merit to cling tightly to the virtue of peace. and let there be no division among people not even in the heart. Not even when it comes to those who do not agree with us. with an entire heart, body, soul and possessions. God who is peace, bless us with peace! on us and all your people Israel and on the world. Bless us all as one by the light of Your countenance our Father. and righteousness and blessing and mercy and life and peace. May it be Your will to bless us all with Your Peace. For I am about to create new heavens and a new earth; the former things shall not be remembered or come to mind. But be glad and rejoice forever in what I am creating; for I am about to create Jerusalem as a joy, and its people as a delight. I will rejoice in Jerusalem, and delight in my people; no more shall the sound of weeping be heard in it, or the cry of distress. No more shall there be in it an infant that lives but a few days, or an old person who does not live out a lifetime; for one who dies at a hundred years will be considered a youth, and one who falls short of a hundred will be considered accursed. They shall build houses and inhabit them; they shall plant vineyards and eat their fruit. They shall not build and another inhabit; they shall not plant and another eat; for like the days of a tree shall the days of my people be, and my chosen shall long enjoy the work of their hands. They shall not labor in vain, or bear children for calamity; for they shall be offspring blessed by the Lord–and their descendants as well. Before they call I will answer, while they are yet speaking I will hear. The wolf and the lamb shall feed together, the lion shall eat straw like the ox; but the serpent– its food shall be dust! They shall not hurt or destroy on all my holy mountain, says the Lord. all recognizing you as our Creator. for the beauty and wonder of Your creation. because there the history of our salvation has unfolded. and to grant them mercy. such as immigrants and itinerants. and whose rights have been trampled. an account of every sin. against You and our brothers and sisters. and thus deeply offended You, Father of us all. to build together a world in which all can live in peace. in the name of Christ our Lord. Praise be to God, who created the heavens and the earth, made darkness and light, brought everything out of nothing, created us as the best part of creation, formed us in the best of forms, bestowing on us hearing, sight, intelligence, and heart. Blessed be God, best of creators. Oh God, to you all praise, O Lord, to you all praise, O Creator of the heavens and the earth, O You who know the unknown and the manifest, O Lord of everything and its sovereign, we testify that there is no god but You alone and You have no partner, we seek refuge in You from the evil in ourselves and the evil of Satan, his partners, his godlessness and his whispering, and we seek refuge in You from godlessness and want, and we seek refuge in You so that we do not bring evil upon ourselves or bring it upon anyone else. O God, to You all praise, much praise, good and blessed, we praise You for all the grace bestowed upon us, seen and unseen, in religion or in the world, for Your graces cannot be counted or calculated, and we ask You, our Lord, that they last forever, be preserved and blessed, and that they might help us to remember You, thank You and worship You better, until we worship You, remember You and thank You as You desire, and to You all praise, O Lord, as befits the splendor of Your face and the greatness of Your power. O God, You are all able and we are unable, You possess all and we have nothing, You know all and we know nothing, You know hidden things, we praise You, we thank You for all that You have showered upon us and all You have done so well for us in religion and in this world, to You praise, our Lord, in first things and in the hereafter, to You praise in good times and bad, to You praise until You are gratified and to You praise when You are satisfied, to You praise after satisfaction, there is no power and no strength but in You. O God, our Lord and our God there is no god but You, You created us and we are Your servants, and we are committed to You as best we can, we take our refuge in You from the evil we have done, we return to You by the grace You bestow on us, and we return from our transgressions and our sins, forgive us, for there is no one who forgives sins except You. O God, our Lord, God whose name is sanctified in the heavens, Your command is in the heavens and on earth, as Your mercy is in the heavens, so let Your mercy be manifest on earth, forgive us our transgressions and our sins, You are the Lord of those who are good, pour down upon us Your mercy, Your pardon, Your goodness and Your healing, Most Merciful of the merciful. O God, inspire us to tell the truth, to do good, to instruct in virtue, to put an end to what is forbidden, seeking Your generous face, O Master of splendor and honor, so that we do only good for the good of all, all people, removing injustice from the oppressed, so that we may receive Your mercy which encompasses all things, and help us, O Lord, to do right with what is right, in matters of justice and charity, and put an end to indecency, all that is forbidden, evil, injustice and aggression. O God, we seek refuge in You from going astray or being led astray, from slipping or causing others to slip, from doing wrong or suffering wrong, from committing aggression or having aggression committed against us, forgive us for whatever sins we have committed in all of this, O Most Merciful of the merciful, for our hope is in Your mercy, and we fear Your retribution, do not put us among the unjust violent ones, O Lord of the worlds, help us to come to the assistance of the unjustly oppressed, so that we are granted in this Your mercy, Your pardon and Your satisfaction. Praise to God, merciful, compassionate, king, holy, peace, faith, sovereign, precious, mighty, proud, creator, maker, former. O God, You are peace, and peace is from You, and to You peace returns, You are blessed and You are glorified, O Master of splendor and honor, inspire us, O Lord, with peace and reveal to us peace and make us dwellers in the realm of peace, among those who do not live in fear or sorrow. O God, we seek refuge in You from injustice and oppression, from illegitimate aggression, and we ask You, our Lord, to make us rightly guided, not going astray nor leading astray, believing in You and trusting in You, guide us, O Lord, to the most preferred of words, guide us, O Lord, to the most perfect of acts, guide us, O Lord, to the best of morals, for no one can guide to this except You, and You are able to do all things. O God, make us, O Lord, keys to all that is good, locks to all that is evil, we ask of You what is good and proper, that You provide us with safety, peace, security and faith, for us and for our peoples, our families, our fathers and mothers, our sons and daughters, and for all humanity and all nations, and all creatures in Your great creation, give us, O Lord, in this world good, and in the Hereafter good, and protect us from the torment of the fire. O God, bring about peace in the land of peace, O Master of splendor and honor, and remove injustice against the oppressed in this land, feed its people who hunger, and secure them against fear, and keep them from evil and evil doers, from unjust aggressors, O Lord of the Worlds. Let us now listen to the words of Pope Francis, followed by those of the two Presidents, each calling for peace for peace. 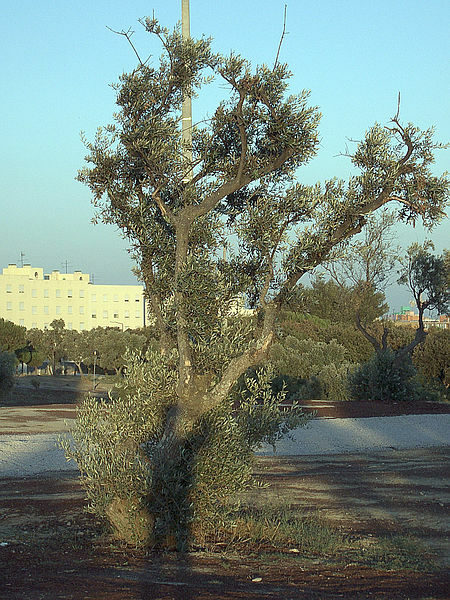 The two Presidents and the Holy Father will conclude by shaking hands and by planting a small olive tree together as an enduring symbol of the mutual desire for peace between the Israeli and Palestinian peoples.